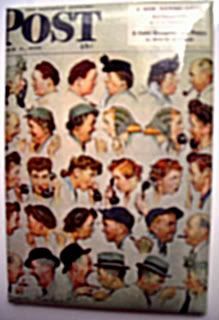 On a random roadtrip, we stumbled upon Stockbridge, MA, home of the Norman Rockwell Museum. Of course, we stopped, because that's what we do. They had several of his famous works, such as the Four Freedoms, or Stockbridge at Christmas. But the one that spoke to me and gave me a laugh was this one. Gossip. It's basically the illustration of how a story gets related from one person to another, from the old lady at the top left of the painting, boomeranging back to the same lady at the bottom right of the painting. So awesome, and so true to life. Especially small-town life. 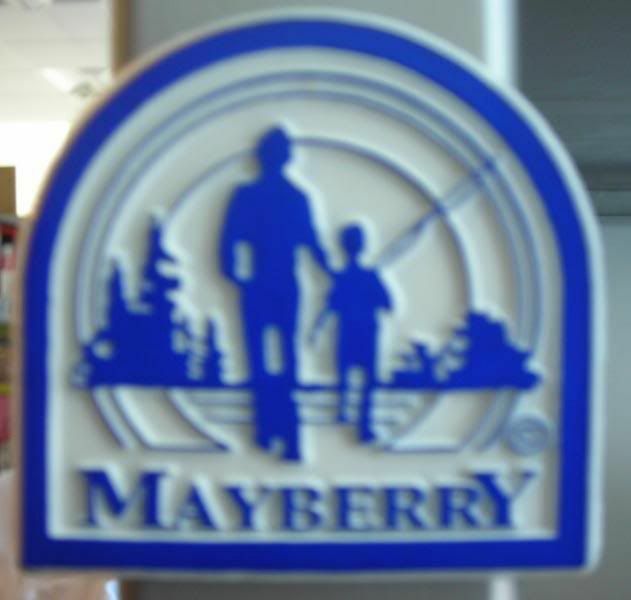 Case in point, my friends and I spent the day in Mayberry, NC, and by the time we got to the tour guide's place, they already knew we were from New York, and coming on the tour. I was freaked out that they somehow knew, but they put my mind at ease, by confessing that it was actually the caller ID on my cell. Whew. So, I've been to Oklahoma, only once - Elk City. Where our motor home engine exploded during a cross-country trip when I was young. I totally want to go back - there's a Route 66 museum in Elk City, and there's a ton of things to do in Oklahoma City. Though, one word of advice for the Oklahoma City visitors' website - they should probably not list their attractions in alpha order. People might get turned off by the first listing being the Bass Pro Fishing Shop. Ha! 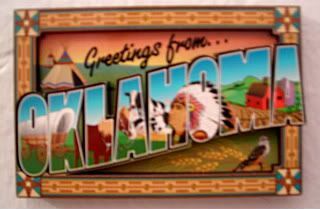 This magnet was actually given to me by a friend of mine who went to Oklahoma for a new business pitch. 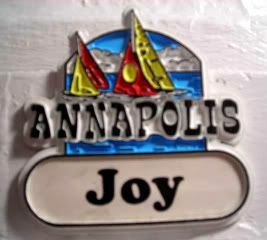 We didn't win, but dudes, I got a magnet, anyway! So...today's our company offsite meeting. What is it about these things that make me become the biggest kool-aid drinker ever? 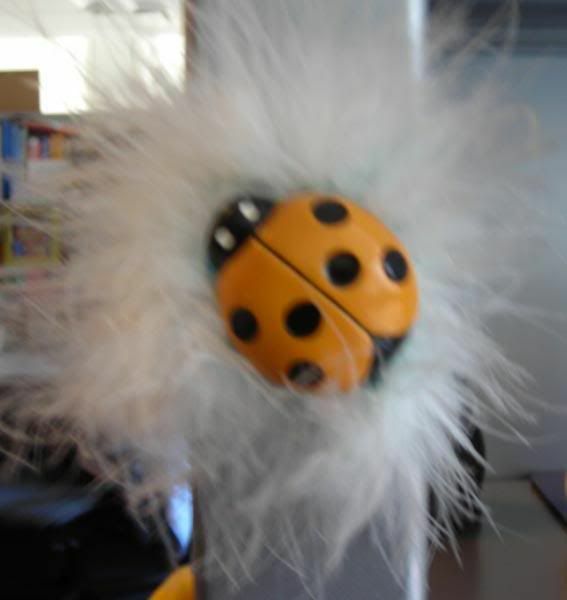 This magnet was from the Dr. Seuss National Memorial Garden in Springfield, MA. I love, love, love this place, and I'm not even the biggest Seuss fan out there. But, they have these giant bronze sculptures of Horton, and the Lorax and the Cat in the Hat and a giant, giant!, book. It's just the coolest place ever. 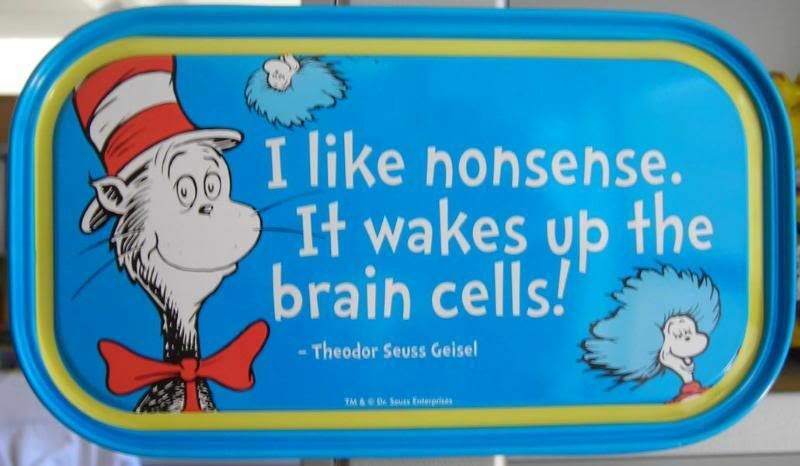 And, as only Dr. Seuss can, it totally teaches us what matters between the stuff and nonsense of our everyday lives. 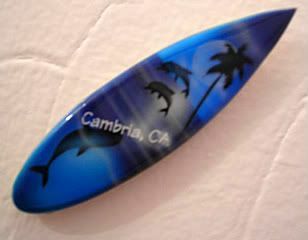 Cambria was one of my stops during my Woman on her Own Roadtrip up the California coast a few years ago. It's six miles away from Hearst Castle, and the only reason I even headed that way was because I was in desperate search for coffee. The only reason I decided on Cambria was because there was a sign for Moonstone Beach. And how lovely does that sound? So, off I went, visiting the myriad shops (very few of which were open very early). It's everything you'd think a small California tourist town would be - mainly gift shops and quaint hotels and resorts. And magnets. They had tons of magnets. I never did get to actually see Moonstone Beach. Come to think, I never actually got my coffee, either. 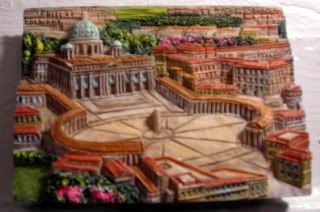 Well, since I forgot to use this for Easter, but I figure some will appreciate my using the Vatican for my 33rd magnet. I’ve never been to Vatican City, but feel so much as though I have. The earliest memory I have is a picture of my mother’s best friend, Uncle Oscar, with Pope John Paul II. At the time, Uncle was a young priest assigned to the Vatican. In the mid-80s, my mother went to visit Uncle Oscar, and came back with a rosewood rosary, presumably blessed by the pope. What I’ve never been able to tell is whether or not rosewood actually smells of roses, or if it was just magically, overly infused with the scent of roses. 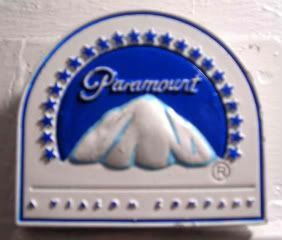 Because man, talk about an olfactory memory – I can still smell the roses that wafted out of the souvenir plastic casing. Oh, and let's not forget the The Thorn Birds - there were several scenes set there, though I'd bet my bottom dollar it wasn't allowed to film on location. 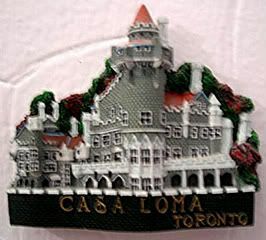 This dimensional magnet was from my sister's visit to Italy during her Peace Corps stint. 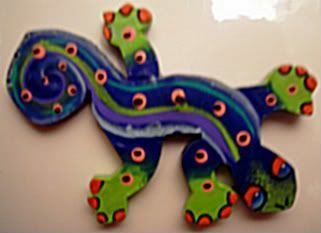 I love my dimensional magnets - they're always superpretty and interesting to look at. And, no, I have not a clue if that's what they're really called...I'm makin' up my own magnet nomenclature until some other magnet collector sets me straight. 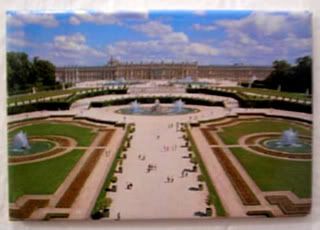 I mentioned earlier that my parents and I did a week in Paris a few years back, and I made sure to include Versailles on the itinerary. You think I like tours? Hah, the apple does not fall far from the tree. The gardens for mom and the big giant house for my dad. Little did I know that setting my dad loose on the palace of Versailles would earn us frustrated sighs from our tour guide. Particularly when my dad was questioning the tour guide about Louis XIV, and how he used all the money of the people to build this giant house instead of taking care of the people, and how his descendants feel about it. Our guide, btw, was a descendant. A million times removed from the throne, but a descendant, nonetheless. Monet and I are likethis. 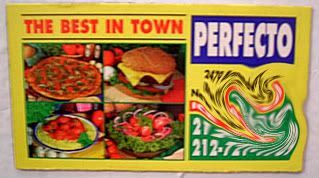 So, when I saw this magnet one Saturday afternoon during a break at a Cary Grant marathon at the Met, I knew it had to be mine. I mean. Look at it! It's like the trifecta of win! The piece de resistance - there's a Monet quote at the bottom that you can slightly see: "Color is my day-long obsession, joy and torment." Come on, people - the thing had my name on it! Oh! And, it was on 50% OFF! Hel-lo! But it was the only Monet on display. There were tons of Gauguins and (I think) Degas, but only one Monet. OMG! What to do! And so the quest began. Start the clock - I had 25 minutes before the next movie started, and I knew I'd have to fight the old ladies of the upper east side for good seats to see Cary. I asked the young sales clerk to look in the back. He looked. Nada. "But maybe you can try in the main store downstairs." So I walk quickly from one end of the Met to the other end, ignoring the masterpieces and brushing past their wandering admirers. I stop at not one, but two other kiosks and a smaller store on the way. I inquire at the smaller store. "No. Check the main store?" I get to the main store, where I proceed to stalk the entire magnet section (I know! They have a magnet section!). Again with the Gauguins and the Degas? What up with that, why were there like 30 each of those, and none of my Monet? Grrrr. So I ask. They look. "No. But maybe one of the other stores/kiosks?" I walk across the hall to another small store - even though it was Egyptian-themed, still I asked. "Uh. No. Did you try the main store?" So I run back across from that end of the Met, back to my young sales clerk. And I proceed to wheedle him into letting me buy it - and say that I'll even buy a red Gauguin, just to make him feel better. He looks surreptitiously around for his manager, and success! 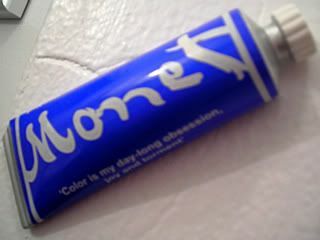 He takes down the Monet, pulls out a small bag. I hand him a 5-spot, and he proceeds to not take it and drops the Monet into the bag, and shoves the tiny bag into my hand. You could almost see him thinking, please, God, just leave already, lady! Little guy at the Met - thanks so much! Although, I have to say, I didn't have a receipt, and I was SO afraid I was gonna get nicked for shoplifting! I was already playing out NYPD interrogation scenes in my head. But, whatever guilt I felt was certainly assuaged by the piles of Met crap I ended up buying at the end of the day. Oh. And, in case you were wondering, yes. I made it to the movie, and no little old ladies were hurt in the process. If you haven't been to Abbey Road Studios, then what are you waiting for? Of course, unless you're recording an album (or stalking someone who is), there's really nothing touristy on Abbey Road. In point of fact, besides the actual studio, it really is just a road (check out the crossing cam on the in-development webpage above) with some crossing stripes. 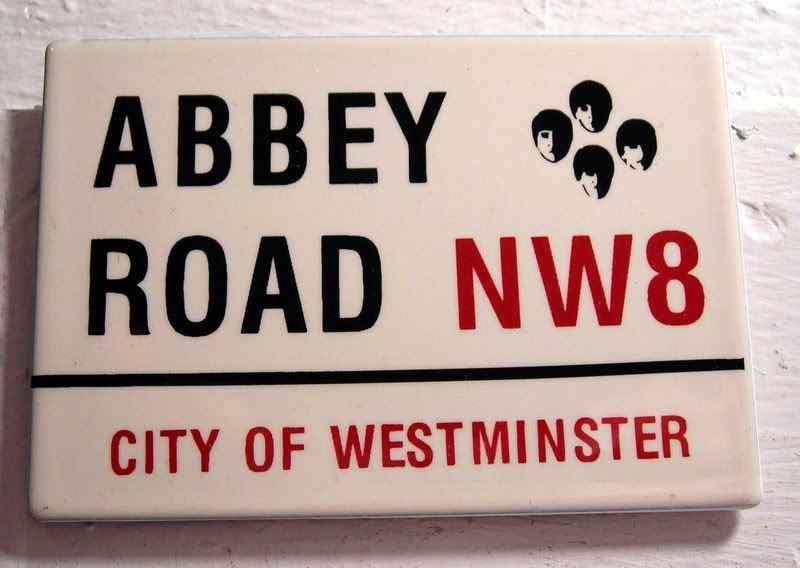 But, you still have to go on your next London visit - it's a must for Beatles fans. Plus, you could probably spend a good hour watching silly, sometimes very silly people, trying to recreate the infamous Abbey Road album cover. The problem is that there's no real traffic signal. So, you have all these groups, trying to stage a walk across, with someone in the middle of the road trying to take the picture - in front of oncoming traffic. It's brilliant. It must be said that if I were a local, I'd probably run their tourist behinds over. Yet, when the joysisters and I were there, we were doing the same exact thing. How could we not? And, while you're there, run up the road to the St. John's Wood tube station, where a small kiosk sells trinkety-trinkets, of course Beatles-themed. I probably bought way too many magnets and floaty pens at this place...actually, the number of trinkety-trinkets I bought may outnumber the number of Beatles albums I own. Yes, it is so very touristy, but there's truly something to be said about the staying power of an album that's almost 40 years old. 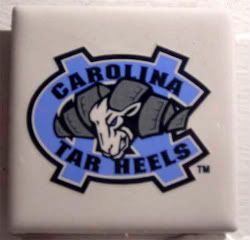 Picked up this tile magnet at The Big E fair a couple of years ago. Fun, no? I have to say, and some of you will find this funny (given my own drinking indiscretions), but I've never imbibed, or overindulged on St. Patrick's Day. Nor, have I ever been to the St. Patrick's Day parade down Fifth Avenue in NYC. Here's why. The very first SPD I spent in NYC, back in 1995, I walked back to the apartment, and somehow found myself outside a police precinct with at least a hundred officers in full dress in the street. Red-faced and rowdy, they were whoopin' it up in the streets of NY. Ok, fine, just that one street. But, I did say full dress, which meant armed as well. And suddenly I realized that if the coppers were drinking, then how can I count on them to keep me safe if I were drinking. Much like me once trying to tip $60 on a $60 tab. Yeah. 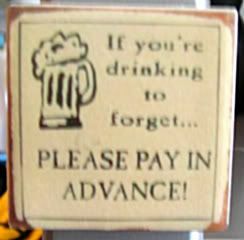 They weren't joking with that whole please pay in advance notice! 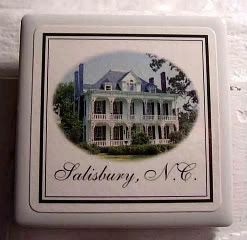 So, with a little forethought, this magnet could have been Tolstoy's original book cover. 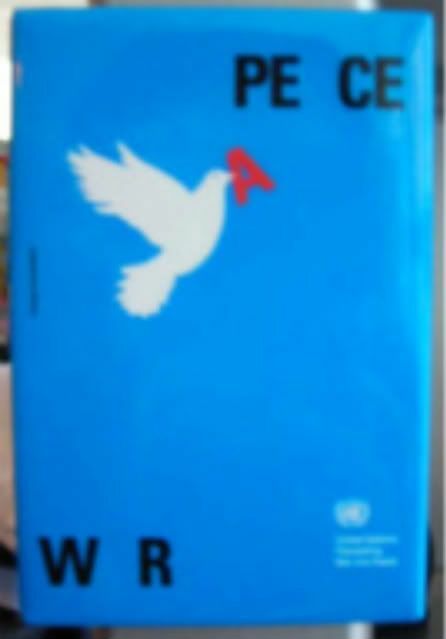 This one's from the United Nations, with a little dove taking the A in War and flying up to place it into Peace. It's a lovely thought, and I thought a fitting one for a beautiful Palm Sunday. The UN on the eastern side of Manhattan is a pretty amazing piece of work (or, work of peace). It's technically not U.S. soil, and are therefore a pretty self-contained compound. The tour is great, and with enough people, you can get it in your native language. They take you around the General Assembly, and the Security Council, and several other auditoriums. Each were gifts from different countries, and as such, the interior architecture and design are a little schizo - but all superawesome. Each country's also responsible for their gift's upkeep as well. Which means it's also building stuck in time, in some respects - say, for example, the earpieces with funny knobs that are straight out of the 60s and 70s, and still in use today. Even the building's design is starting to look too dated as well - and each year, they keep putting off the revitalization of the UN - mainly because it would disrupt their work too much. It's sort of a metastatement, really, because one could argue that the UN as a concept might be stuck in time, as well. Sometimes it feels like too much falls on their shoulders, rather than letting member countries take responsibilities for themselves. But, bless those few - and George Clooney, I'm lookin' at you - who truly believe in the power of the UN and the good that they're at least trying to do in the world. So, apparently, I have a favorite everything - Frank Lloyd Wright's my favorite architect. Oh, I could never really live in an FLW house (I mean, who can, really), but I find that there's always something supremely interesting about his work. And Fallingwater reigns as one of his most famous. This was my first introduction to FLW (if you don't count Timothy Dalton's Hollywood estate in The Rocketeer, which wasn't a bonafide FLW house, but definitely influenced by him), and ever since, I love fitting in any and all FLW houses along the way. To anywhere. I have to say, though, that the more of his structures I see, the more I've begun to wonder about the practicality of his design. I'm always reading or hearing about the conservation of his works. One could argue that some of them are getting on in years, but it does sort of feel like his work wasn't meant for the long haul. 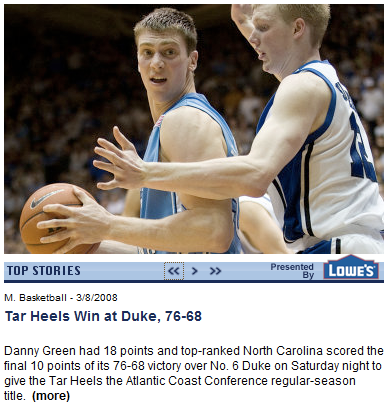 A bit of fleeting greatness, methinks. This magnet might possibly be in my top 10 favorite magnets. 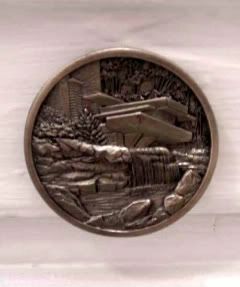 I have several in the metals section - they're more expensive, magnet-wise, but the detail on them can be pretty amazing. Also, they can supertotally double as weapons!! It'll be ok, everything will get done. 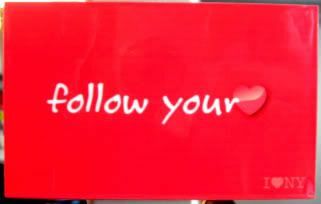 One way or another. It's that another that often worries me. Yep. It works. Yep. It's loud. Yep. It's like the klaxons signaling an air raid. And yep. Kids LOVE to play with this one. But, no. 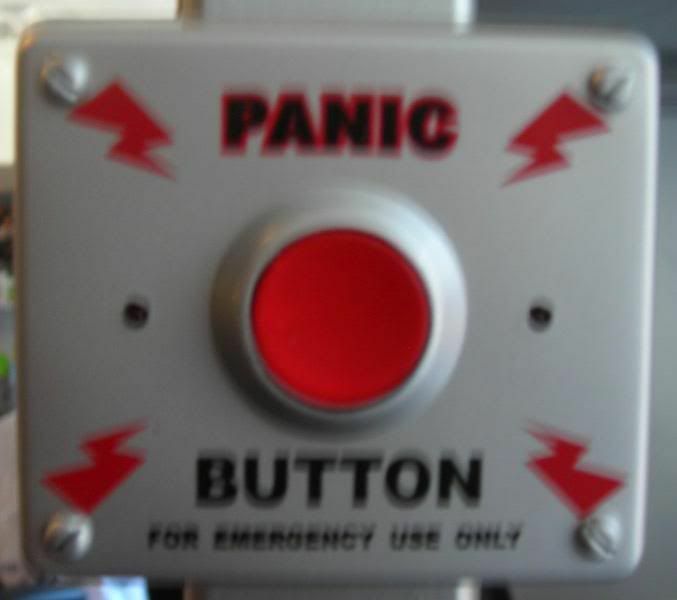 It's not connected to anything...like say, a trapdoor, or ejection seat, or a set of missiles. Would that it were. Would. That. It. Were. 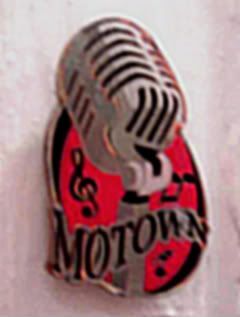 How much do I love that we produced this particular magnet for a new business pitch we did a while ago. Sadly, we didn't get the biz, but (bonus!) now I have a handful running around the office and at home. This campaign never ran, but it really was such a great one convincing the audience to follow their heart across the great state of NY from the tip of Long Island to Buffalo, and from Battery Park up to Champlain. This magnet actually has even more meaning for me, because I really did follow my heart to NY, and here I am, more than a dozen years later. thousand-miles weekend roadtrip taken just for this project. While I'd already been all over to begin with, there were a few stops along the way that we hadn't seen - don't worry, you'll be seeing those magnets, too. 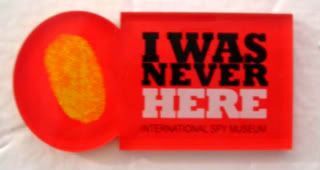 Hmmm, after all that, I'm seeing in my collection that I don't have a real I (heart) NY magnet. Yeah, that's gonna get rectified immediately. Having spent the last few weeks doing research for every highway, byway and roadside attraction in the continental U.S. for an upcoming cross-country road trip, I find myself (as always) gravitating toward the small mom and pop attractions. A fellow roadtripper told me that we never pick the big cities and attractions for our trips. But I say, that's the only way to see America. 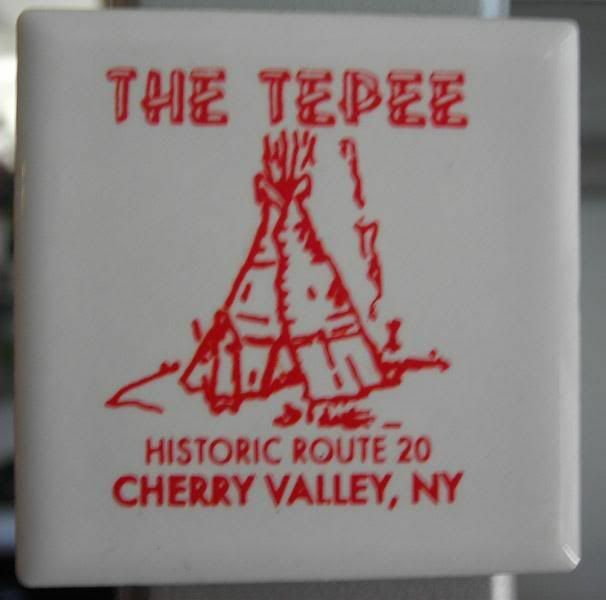 And, the ads didn't lie - The Tepee made good on its promise of cheesy magnets, and even more cheesy (and possibly exploitative) Native American souvenirs. 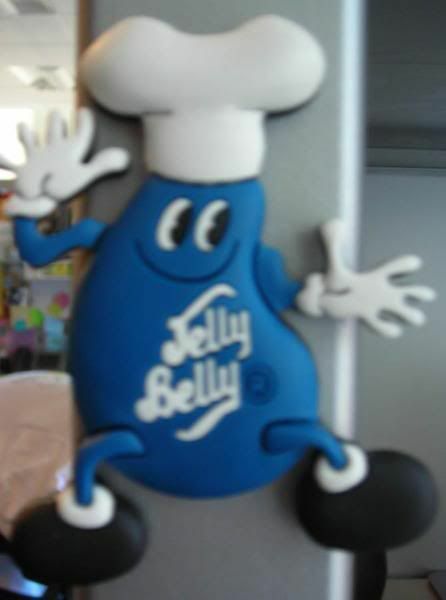 But this magnet isn't so cheesy, really - it's been added to the "tile magnet" section of my collection. Yes, there are categorized magnet sections in my collection. You haven't noticed? I always think I'm like the biggest fan ever of, well, everything. Romance novels, soap operas, Garth Brooks, chocolate, Buffy, you name it. avid romance readers at the Romance Writers of America annual literacy booksigning. soap fans at Super Soap Weekend in Orlando. country music fans at Garth Brooks' Central Park show. chocoholics at the NY Chocolate Show every year. Buffy fans at a NYC singalong screening of "Once More, with Feeling." And for some reason, I'm always surprised. Always. 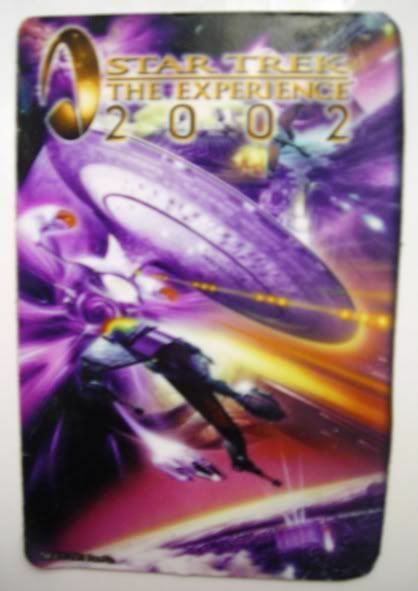 So, really, when I showed up at the superawesome and fun Star Trek Experience at the Hilton, Las Vegas, I shouldn't have been so surprised. I'm a fan, don't get me wrong - I can tell the difference between all the Enterprises, the shows, and the captains. Sometimes, I can even remember episode titles. And I've seen all of TNG, multiple times. C'mon, that has to earn me some points. 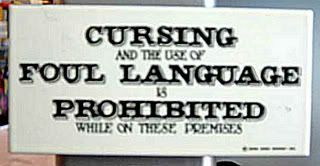 That's why I kept my novice mouth shut during the entire time I was there. It's Sunday, and as always, I find myself buried in my head, deep in thought. Nothin' special goin' on in there, really. 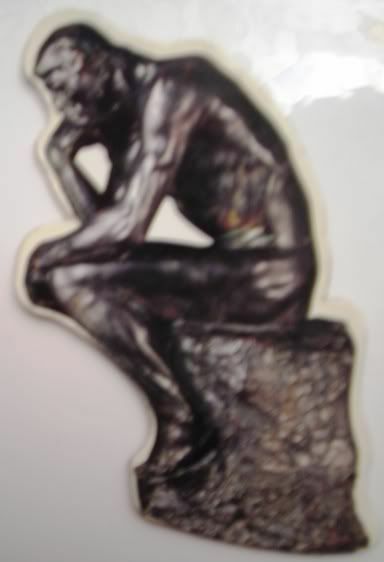 But, I thought the Thinker was tres apropos for the day. Anyway, my parents and I visited Paris for a week, after having (somehow) found a great internet deal at go-today.com, something like $500 a person for a week (hotel and airfare!). Superawesome trip - even if my dad got really tired of all the museums we dragged him to. Though, he was incredibly grateful for every bus bench, park bench and Metro escalator and building elevator in Paris. Heh. Jefferson was truly an eclectic man - author of the Declaration, U.S. President, founder of UVA, plantation and slave owner - he was passionate about practically everything from music to tomatoes. Monticello was part of a presidential road trip that the joysisters (plus 1) took around Central Virginia, also visiting Madison's Montpelier and Monroe's Ash Lawn-Highland. This trip was chockful of presidential sites, but wherever I go on all my travels, I like to sneak some sort of presidential site (or two or three). I'm not terribly political, but I love visiting the homes and various sites of our former presidents. They're supercool, and often tell you more about the man than any history book. Incidentally, this one's the first of many (many) photographic magnets. 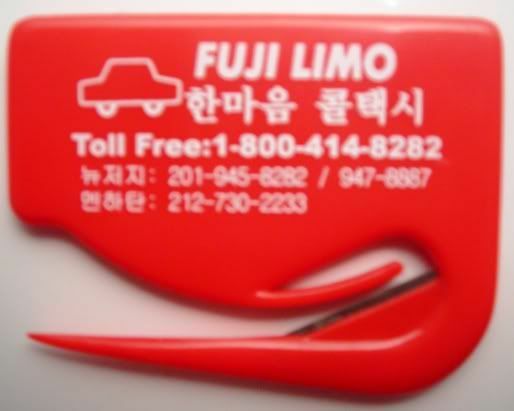 Love these kinds of magnets, they're often better than the actual photos we take. 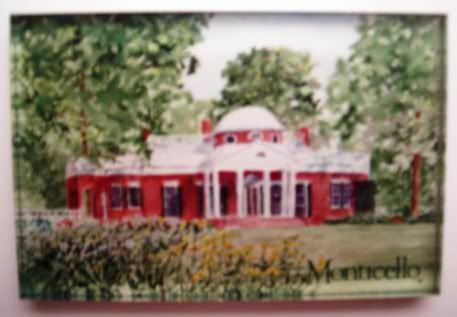 As for Monticello, the best part about the tour was the deflection of the tour guide about Sally Hemmings. Whoops.